“Young people see abacus as impractical relic.” Tell that to the main bank here, ICBC. I saw an abacus in use at the ICBC bank when I recently had to visit to get my pin for my local corporate AMEX. Of course, it took an hour and several people to get it done, F#@% with the Laowai and make them wait as long as possible is a fun game they play here and I’ve been lucky enough to be a participant several times already. Miraculously, after swiping my damn useless card 10 times, they let me reset my pin. I guess any bank that still uses an abacus is probably not known for its speed of service so what the hell did I expect, right? “Monk fruit may lift sales in US diet soda market”. This obscure melon is fuzzy and green but is a naturally sweetened with zero calories fruit. China produces 400 million monk fruit a year so watch your local groceries for “Monk Dew” in the future. “5 year plan to root out corruption by officials.”. Really-let’s give the officials 5 years to take advantage of the system before they shape up. “Sulfur used to whiten bamboo shoots.” Just another thing to avoid eating in China. The food vendors smoke the bamboo shoots to improve their appearance to sell more. If Train needs to add on to “50 ways to say goodbye”, he should just visit China. “Frugality drive extends its reach to the grave–officials told to set an example at funerals.,, Even in death, frugality is urged as China lays down funeral rules…Superstitious practices should be avoided.” They are encouraging tree planting vs. fireworks. Really? Because there’s nothing like a firework send-off when you kick the bucket. Planting a tree by comparison seems a little tame, though with the pollution here more green stuff is always welcome. “Despair turns to joy for a mother at 60” She had in vitro to give birth following the death of her daughter. She now lectures around the country to raise money to support the children but these separations have alienated her from the children and they like their nanny more now, according to the mother. Sounds like it went from despair to joy and back again. “Out-of-wedlock kids bear brunt of hukou horror.” Hukou, their household registration system, is government controlled and allows people to have social welfare and public schooling. You can’t get a birth certificate if you don’t have the official hukou and ID #. The story quotes that a single mother would have to pay $54,354 US as a fine to get her out of wedlock son a hukou. The son said he plans to join a gang when he grows up to take revenge on police and the family planning office. How wrong is it that a small child is planning out his future life just to avenge the system? “DIY air purifers proving to be a big hit. ” Due to the horrible pollution and high cost of air purifiers (ours cost $600 US for a Blue Air) the locals have decided to make their own. Using a fan and a filter screen, one woman put together her own air purifier. She put it in her daughter’s kindergarten but the filter screen turned black. I’m shocked!!! They are now teaching classes in Beijing on how to make air purifiers. One lady said she is going to improve her DIY by adding a filter screen with a thin sponge to prolong it’s duration. Or the government could just decide to put some laws into place to regulate coal burning by factories and businesses and homes. In the meantime, I’ll put on my mask and off I’ll go. “Law makes car seats mandatory for children.” The law also makes it clear that preschool children cannot be left alone at home. About time—What year is this anyway??? “Python strangles guard at luxury hotel in Bali.” The python wrapped around his body and strangled him as he attempted to catch it. Not surprisingly, “people watching the incident were unable or unwilling to help and called the police, who came but failed to save the man.” The python escaped. Note to self–do not stay use my points at the Hyatt Bali. “Tomb sweepers turn out in big numbers but traffic moves well. Apparently, the winter solstice is the best day for relatives to bury loved ones’ ashes and honor the deceased..who knew? Well, supposedly, a total of 1.27 million people knew and visited cemeteries to honor deceased relatives, up 16.8 percent from last year according to this article. Really–did who paid to have traffic counters posted at every cemetery in China because I am thinking this is a total crap shoot # made up by someone but perhaps I am being too cynical. “Man Jailed for Selling Poison-tainted Dog Meat”…he was only sentenced to 10 months in prison and fined $6,600 US for killing 565 dogs with poison darts & selling their meat as food. He should have gotten life in my opinion. “Tricycle driver sets himself on fire…. man in Tangshan set himself on fire on Saturday morning after a police officer confiscated his tricycle”. The local government had banned the type of tricycle used by this guy. Very sad and weird…really want to know why they banned the tricycle in the first place. “Crackdown to restore order at hospital….China has launched a campaign against behavior that disturbs normal operations at hospitals and affects doctors.” I don’t even want to know what “behavior” is going on in hospitals here that requires a crackdown…scary! 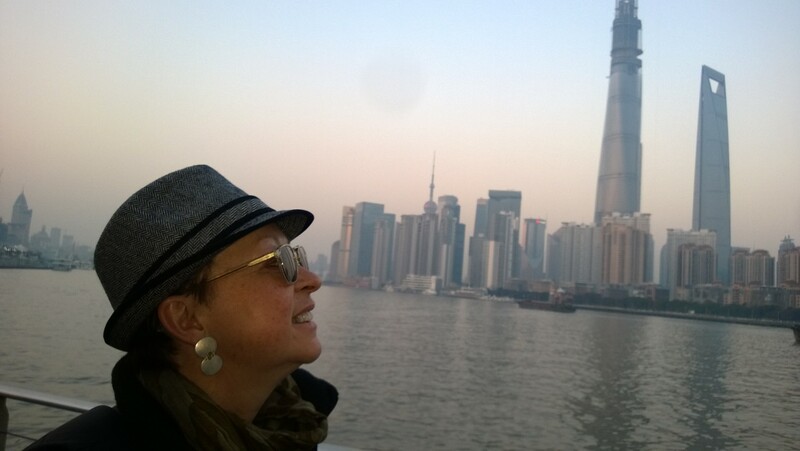 I’ll keep you updated regularly on all the crazy and wild happenings in Shanghai…stay tuned!!! Crazy but true..every day there’s at least one that males laugh and think, “What the…. ?